Lord Henry, oh where have you gone? Why, I’m on your wrist, fair lad! Once upon a time France was well-known for its watchmakers. They bustled on the Ile de cite, harrumphed through the royal palaces, and generally acted like self-appointed protectors of French science. Now? Not so much. That said, they’re coming back and Lord Henry Watches is here to herald in the new age. Lord Henry is designed in Cannes, France and features the standard three hand configuration in multiple metals for about 200 euro. 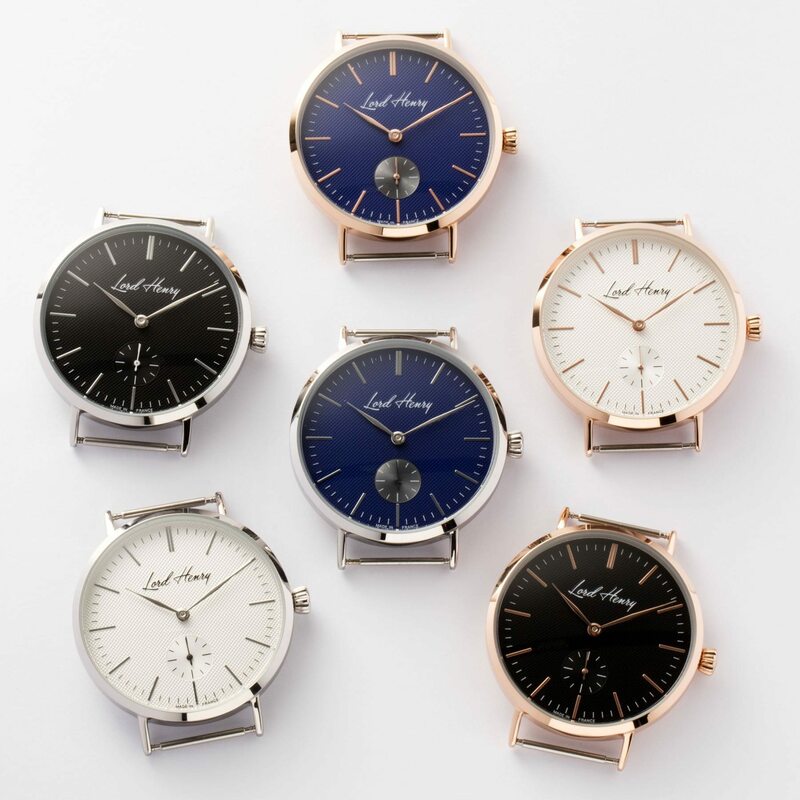 The watches come in multiple colors and styles and all have a seconds hand at six o’clock and a bold, handwritten logo up top. It’s water resistant to 5ATM and runs a Small Second Quartz movement from Seiko. One watch with three straps costs about $215 on Kickstarter and they’re shipping in February. They’re raising $24,000 and they’ve already hit their goal. The pieces are unisex so you can turn your Lord Henry into a Lady Henrietta. Sacre bleu! Next articleOrigin Watch Co. Vintage Field asks: Shinola who? They may be designed in Cannes, but they look like crappy mall watches found all over the place. They’re only unisex if you like wearing a women’s fashion watch.